My motto is to use the best ingredients and keep it simple with easy recipes, so your time baking is fun and enjoyable. 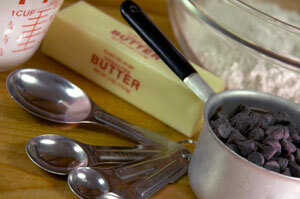 Butter: There is no substitute for real butter when making brownies and cookies that taste delicious. Most baking experts consider 'unsalted' butter superior for baking, but in my attempt to keep things simple, I opt for salted butter because it is what I usually have on hand. Granulated White Sugar: This is the most common type of sugar used when making cookies and brownies. It is refined cane or beet sugar. If a recipe on this site calls for sugar without specifying which type, use granulated white sugar. Brown Sugar: Brown sugar is granulated sugar that has some molasses added which gives it a softer texture. Dark brown sugar has more molasses and a stronger flavor than light brown sugar. To prevent brown sugar from drying out and getting hard, be sure to store it in an airtight container. Confectioner's Sugar: This may also be referred to as powdered sugar. It is granulated sugar that has been ground to a fine powder consistency. Cornstarch is added to prevent it from clumping. It creates a smooth consistency and is often used in icings and frostings. Flour: My flour of choice is unbleached, all purpose and white wheat when whole wheat is called for. It's also fun to experiment with alternative specialty flours such as spelt and oat. Baking Powder: I choose Rumford baking powder because it is aluminum free. Vanilla: Real vanilla extract is a must. It's expensive, but worth it. To make your own vanilla, combine vodka and split vanilla beans in a bottle or jar and let 'marinate' for 2-4 weeks before using. Chocolate, Cocoa, and Nuts: Use high quality chocolate, cocoa, and nuts when making brownies and cookies. Keep your nuts fresh by storing them in the freezer. Nothing will destroy your baking success like rancid nuts. Find out more about your favorite Chocolate Chip Cookie Ingredients. Corn Syrup: A thick, sweet syrup made from conrstarch. It comes in light and dark varieties. Dark corn syrup has coloring and flavoring added to make it like caramel. Honey: Any variety of honey may be used in recipes calling for it. Maple Syrup: A delicious syrup - made by boiling the saps from maple trees - with a strong pure maple flavor. It takes about 40 gallons of sap to make one gallon of maple syrup! Maple-flavored pancake syrup should not be used as a substitute. After opening, store maple syrup in the refrigerator to prevent spoiling. Molasses: A thick syrup made by boiling sugar cane or sugar beet juice. Dark molasses is darker in color and not as sweet as light molasses. Learn more about molasses. Peanut Butter: A spread made by blending ground peanuts, vegetable oil, sugar, and salt. Avoid using natural or old-fashioned peanut butter in this collection of cookie recipes, unless a recipe specifically calls for it, because its consistency is so different. Oats: Old-fashioned oats are thicker and heartier than the quick-cooking kind. Use the kind specified in the recipe for best results. Avoid using instant oatmeal because it is more processed and will not give the best results in these cookie recipes. 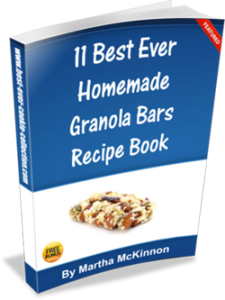 Coconut: You can easily use sweetened flaked coconut shreds in any recipe calling for shredded coconut - unless it specifically calls for unsweetened coconut. Sweetened flaked coconut is the dried and shredded white coconut meat that has additional sweeteners added and is mainly used in desserts or for garnish. If you are interested in shredding coconut, it's not as difficult as you might think, but does take additional time and tools - for some, using only the freshest ingredients is worth the effort. Buttermilk, 1 cup: one tablespoon lemon juice or vinegar and enough milk to make one cup. Let stand five minutes. Alternatively, substitute plain yogurt. Brown Sugar, 1 cup: 1 cup sugar and 2 tablespoons molasses. Chocolate (Unsweetened), 1 ounce: 3 tablespoons unsweetened cocoa powder and 1 tablespoon cooking oil for each ounce of chocolate. Self-Rising Flour, 1 cup: 1 cup all purpose flour plus 1 teaspoon baking powder, 1/2 teaspoon salt, and 1/4 teaspoon baking soda. Cookie sheets with or without sides. 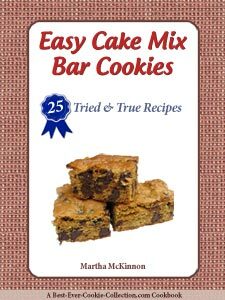 Although many books suggest rimless pans for baking cookies, I have had great success using rimmed pans. Cookie Scoops: 2 tablespoon Cookie Scoops make easy, speedy work of dropping cookie dough onto pans when making brownies and cookies. They're one of my favorite cookie making tools! Silpats: Nonstick Silicone Baking Mats make clean-up a breeze. With a silpat you are able to forgo greasing cookie sheets too. Just be sure to not cut them! Wire Racks: Tiered Cooling Racks are necessary for expedient cooling of your cookies and brownies and saving counter space. 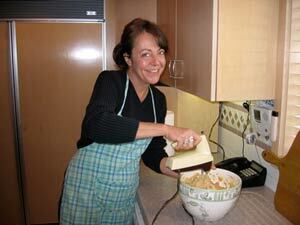 Electric Mixer: I love my KitchenAid Mixers , both hand-held and standing versions, for making brownies and cookies. If you only bake occasionally or have limited space, start with one or the other. If you bake a lot, you will want both! Food Processor: I am a fan of Cuisinart Food Processors . They can really speed up the process for many kitchen tasks like chopping, grating, shredding, and pureeing. Get one that has at least a 6-cup capacity. Allow ingredients to come to room temperature before beginning. If you need to bring eggs to room temperature quickly, place them in warm water for several seconds. Butter can be softened in the microwave with short 10 second burst on 10% power. Be careful not to let your butter start to melt. Measure ingredients accurately when making brownies and cookies. Use dry measuring cups for the dry ingredients like flour and sugar and liquid measuring cups with spouts -- made of clear glass or plastic -- for ingredients like water, milk, and honey. Granulated or Powdered Sugar: Can be scooped or spooned into the cup and then leveled with the edge of a knife or spatula. If the powdered sugar is lumpy, it is best to sift it through a strainer first. Combine the dry ingredients with a whisk to ensure everything is well distributed when making brownies and cookies. Verify oven temperature with a thermostat placed inside your oven before making brownies and cookies. Once your oven is pre-heated adjust the oven setting as necessary to get the desired inside temperature. If you do a lot of baking or if the oven temperature is off my more than 50 degrees it may be best to get your oven calibrated by a repairman or technician. Use the pan size specified in the recipe to insure proper baking time and thickness. Glass pans are an excellent conductor of heat so if you are using them be sure to lower the oven temperature by 25 degrees to compensate. You should adjust the thermostat down 25 degrees when using dark colored pans too. When pans require greasing, the most expedient solution is to use cooking spray. Or you can grease with butter and shortening and a pastry brush. For easy removal line your pan with greased foil, leaving enough overhang on two opposite ends to use as handles. The cooled brownies/cookies can be lifted from the pan to a board for even cutting. Make sure to drop cookie dough only on cool cookie sheets to prevent them from spreading on the pan. To help cookies hold their shape during baking, chill the dough before baking. Cookies bake quickly and require close monitoring to prevent overbaking. Begin checking at the earliest end of the time range specified in your recipe. 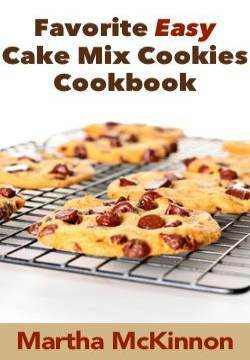 Cookies will continue to cook for 1 to 2 minutes after being removed from the oven so it is best to pull them out just before they are done. They should be lightly browned with firm edges. Brownies and bar cookies are done when they begin pulling away from the pan's edges. After making brownies and cookies, be sure to cool completely before storing. Store your delicious cookie bars, squares, and brownies in an airtight container. Different cookie types should be stored in separate containers. Crisp cookies that become soft can be re-crisped in a 300 oven for 3 to 5 minutes. Keep cookies soft by adding a piece of bread of apple to the storage container. Store brownies in their pan covered with foil or plastic wrap for 2 to 3 days. They also can be wrapped in plastic and then placed in a freezer bag or wrapped in foil for the freezer. I love to wrap my cookie bars, squares and brownies individually or maybe 3-4 at a time to pull out when were craving a little something sweet, or to have available for an after school snack or when guests drop in unexpectedly. More tips and techniques for how to make perfect cookies, depending on your own unique cookie likes and dislikes. Okay, you've reviewed the basics for making brownies and cookies. Now it's time to get baking. We hope that you have as much fun making brownies and cookies as we do.